It now appears that taxpayers are attempting to attack Judge Kroupa's orders or decisions in cases she decided while she was committing the conduct subject to the indictment and was even under audit that led to the indictment. See e.g., Andrew R. Roberson, Taxpayer Argues First Circuit Should Not Follow Tax Court Decision by Judge Indicted for Tax Fraud (McDermott Will & Emory's Tax Controversy 360), here. In the immediate subject of that blog entry, the taxpayer prevailed in the district court with respect to a foreign tax credit generator transaction. Santander Holdings USA, Inc. v. United States, 144 F. Supp. 3d 239 (D MA 2015), on appeal to the First Circuit (No. 16-1282) (the brief is linked on the MWE blog). The genre of transaction in issue in Santander, although sustained by the district court in that case, had been rejected by Judge Kroupa in the Tax Court and, based on Judge Kroupa's opinion, by the Second Circuit. Bank of N.Y. Mellon Corp. v. Commissioner, 140 T.C. 15, as amended by 106 T.C.M. (CCH) 367 (2013), aff’d, 801 F.3d 104 (2d Cir. 2015), cert. denied, 136 S. Ct. 1377 (2016) (“BNY”). According to the criminal information and affidavit, Isaac Lanier Avant of Arlington, Virginia, is a staff member employed by the U.S. House of Representatives since approximately 2002. For tax years 2009 through 2013, Avant earned annual wages of over $170,000, but did not timely file a personal income tax return for any of those years. In May 2005, Avant filed a form with his employer that falsely claimed he was exempt from federal income taxes. Avant did not have any federal tax withheld from his paycheck until the Internal Revenue Service (IRS) mandated that his employer begin withholding in January 2013. 7. In May of 2005, Avant filed a Form W-4, Employee's Withholding Allowance Certificate, with his employer that claimed he was exempt from federal income taxes. Upon receipt of the Form W-4, Avant's employer stopped withholding federal income tax from Avants monthly paycheck. Avant did not have any federal tax withheld from his paycheck from May of 2005 until the IRS mandated that Avant's employer begin withholding federal tax from Avant in January of 2013. 8. During this period of time Avant was issued a Form W-2, Wage and Tax Statement, from his employer at the end of each calendar year; the Form W-2 included the amount of his federal income tax withholding during the relevant calendar year. Avant used his Forms W-2 to self-prepare and file Forms 1040, U.S. Individual Income Tax Return, for tax years 2006 and 2007, each of which reflected zero dollars ($0.00) of total federal income tax withholding. 15. On January 26, 2015, Avant was interviewed by special agents of IRS-CI and the Federal Bureau of Investigation. During this interview, Avant admitted to knowing that he was required to file tax returns and pay taxes on income earned. Avant told special agents that he did not file his 2013 Form 1040, U.S. Individual Income Tax Return, because he did not have a full year of withholding in 2013. The Third Circuit's recently unpublished opinion in United States v. Celluci, 2016 U.S. App. LEXIS 14958 (3d Cir. 2016), here, serves as a reminder of some hiccups in the normal application of the Guidelines for tax sentencing. There, the taxpayer pled to wire fraud (§ 1343) and tax obstruction (§ 1343). For sentencing, the counts were grouped under SG § 3D1.3.and sentenced under the tax obstruction Guideline. Now, normally that would mean that the taxpayer's calculations would be made under the evasion Guideline in SG § 2T1.1. 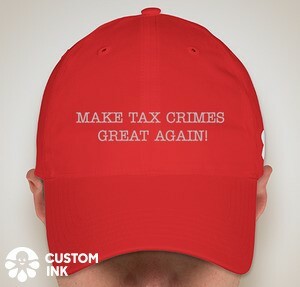 But, as an "obstruction" crime, Guidelines Appendix A (Statutory Index) provides that the Guideline calculation for the omnibus clause tax obstruction may be made under either SG 2J1.2, Obstruction of Justice, or SG 2T1.1. Based on the taxpayer's conduct in the two grouped crimes, the sentencing court determined that the Obstruction of Justice Guideline was more appropriate. The Statutory Index provides that for a conviction under the omnibus clause of § 7212(a), either U.S.S.G. § 2J1.2 (Obstruction of Justice) or § 2T1.1 (Tax Evasion) may be appropriate.3 U.S.S.G. App. A. Where, as here, the Statutory Index "specifies more than one offense guideline for a particular statute, the court must 'determine which of the referenced guideline sections is most appropriate for the offense conduct charged in the count of which the defendant was convicted.'" Aquino, 555 F.3d at 127 (quoting U.S.S.G. § 1B1.2 cmt. n. 1). In determining which of two or more guidelines is "most appropriate," U.S.S.G. § 1B1.2 cmt. n. 1, we consider only the conduct charged in the relevant count of the indictment. See U.S.S.G. § 1B1.2(a); Boney, 769 F.3d at 160; Aquino, 555 F.3d at 129. The indictment here charges that, as part of its efforts to collect back taxes from OLR, the IRS sent CPA a Notice of Levy that directed CPA to submit payments due to OLR to the IRS instead. Cellucci then "endeavor[ed] to obstruct and impede the due administration of the internal revenue laws" by creating a false Release of Levy and transmitting it to CPA, so that CPA would believe it was no longer obligated to submit payment to the IRS and would instead send the payment to OLR. App. 18. Section 2J1.2, the obstruction of justice guideline, addresses various offenses, including "obstructing a civil or administrative proceeding." U.S.S.G. § 2J1.2 cmt. n. 2. In the context of a prosecution under § 7212(a), an IRS "action" or "proceeding" has been defined as "some step [by the IRS] to investigate a particular taxpayer beyond routine administrative procedures such as those required to accept and process tax filings in the ordinary course." United States v. Miner, 774 F.3d 336, 346 (6th Cir. 2014). The IRS's efforts to collect back taxes from OLR, which included sending the Notice of Levy to CPA, involved more than routine administrative procedures, and thus are appropriately viewed as a "proceeding." Because Cellucci's criminal scheme—an effort to re-direct the payment from CPA to her business, rather than the IRS—directly interfered with that proceeding, the District Court appropriately relied on § 2J1.2 in calculating her sentence. On Friday, Judge Pauley of SDNY sentenced Rowen Seibel to one month in prison after his plea to one count of tax obstruction, § 7212(a). Jesse Drucker has a good report on the sentencing: Restaurateur Seibel Sent to Jail, Then Kitchen, in Tax Scam (Bloomberg 8/19/16), here. The information (the charging document in lieu of an indictment usually after a plea agreement arrangement has been reached), here. The defendant's sentencing memo, here. The Government's Sentencing Letter , here (like a Sentencing Memo, but SDNY does a lot of filings by letter rather than a more formal pleading document). The defendant's supplement submission in response to the Government's Sentencing Letter, here. In 2008, after reading press reports about the IRS initiatives against UBS, Seibel traveled to UBS in Switzerland to withdraw the money, specifically mentioning to the bankers that his concerns related to the press reports. By that time, the value of the account had increased to over $1,300,000, apparently due to interest and investments. He then proceeded to deposit the bulk of the amount withdrawn into another bank, Bank Safra (which, by the way, joined the DOJ Swiss Bank Program as a category 2 bank). The deposit was made in the name of Mirza International, a Panamanian company set up by Seibel owned and controlled by Seibel. The documents gave Seibel signatory authority over Mirza's Bank Safra account. After that shuffle to further hide the money, apparently sometime in 2009, an IRS special agent attempted to contact Mother about the account, leaving his card at her residence. Mother quickly contacted an NYC attorney. Mother at first misrepresented to her attorney key facts about the account (including her alleged beneficial ownership). (In his affidavit, the attorney says that she "ultimately" did tell him about having the account which she closed in 2008; the affidavit is Exhibit A, Part One, to the Government's sentencing submission). The attorney then presumably advised she had a serious problem. In October 2009, the attorney advised her about the IRS voluntary disclosure program, OVDP as announced in May 2009. He advised her, however, that she did not qualify because of the agent's attempt to contact her. He advised, however, that Seibel might qualify, provided that he applied to the program by its then schedule end date of October 15, 2009. So, allegedly based solely on conversations with the mother, the lawyer set about drafting a submission including some facts and omitting others (that the attorney may or may not have know about). The handling of the drafts for Seibel's submission is interesting and relevant to this discussion. The Mother and Seibel were in Florida at the time. The attorney was in New York. The attorney says that he only discussed the facts with Mother and not with Seibel. The attorney emailed drafts of Seibel's submission to Seibel who printed and delivered them to Mother for her to discuss with the attorney. The implication (although not a direct statement anywhere I could find) is that Seibel was just a messenger for the drafts but did not read the drafts. (I discuss that implication below in comments.) After Mother and attorney had agreed upon the final draft, the attorney prepared the final document for submission and a Form 2848 which is a power of attorney for the attorney (and a representation that the attorney was the attorney for Seibel at least by that time) and emailed them to Seibel with the instructions to sign and mail them by October 15, 2009. Seibel claims that he did not read the submission document he signed and submitted to the IRS. The implication from Seibel's submissions for sentencing is that he did not know the contents of the document he signed, either by reading the drafts or from discussions with Mother (although they were together throughout the process). The submission (i) made false statements as to Seibel's knowledge about the UBS account and (ii) claimed that the funds may have disappeared rather than disclosing the Bank Safra gambit noted above upon closing the UBS account. In United States v. Greenfield, 831 F.3d 106 (2d Cir. 8/1/16), here, the Court rejected the IRS's summons enforcement. I offer first the Court's opening summary and will then offer more (including some quotes and discussion). Defendant-Appellant Steven Greenfield was implicated in tax evasion after a leak of documents from a Liechtenstein financial institution revealed connections to previously undisclosed, offshore bank accounts. Years after the leak, the Internal Revenue Service issued a summons for an expansive set of Greenfield’s financial and non-financial records, including those pertaining to the offshore accounts referenced in the leak. Greenfield refused to comply with the summons, and the Government sought enforcement in the Southern District of New York (Hellerstein, J.). Greenfield opposed enforcement and moved to quash the summons, inter alia, on the basis that the compelled production of the documents would violate his Fifth Amendment right against self-incrimination. The District Court granted enforcement for a subset of the requested documents under the foregone-conclusion doctrine set out in Fisher v. United States, 425 U.S. 391 (1976). We conclude that the Government has failed to establish that it is a foregone conclusion that the requisite exercise, control, and authenticity of the documents existed as of time of the issuance of the summons. Accordingly, we VACATE the District Court’s order enforcing the summons and denying Greenfield’s motion to quash and REMAND for further proceedings consistent with this opinion. A remarkable amount of American wealth is held offshore, often in an effort to evade taxation. One recent study estimated that $1.2 trillion—some four percent of this nation’s wealth—is held offshore and that this results in an annual loss in tax revenue of $35 billion. Gabriel Zucman, The Hidden Wealth of Nations: The Scourge of Tax Havens 53 (Teresa Lavender Fagan trans., 2015). Such lost income diminishes the Treasury and exacerbates problems of inequality since, generally, only the wealthiest of individuals can take advantage of foreign tax havens. Id. Recognizing this, recent measures, such as the Foreign Account Tax Compliance Act, 26 U.S.C. §§ 1471-1474, have sought to strengthen the IRS’s efforts to combat tax evasion through the use of foreign shelters. But enforcement presents significant challenges given the sophistication of tax planning and the information asymmetry between taxpayers and tax authorities. The need to curtail tax evasion, however pressing, nevertheless cannot warrant the erosion of protections that the Constitution gives to all individuals, including those suspected of hiding assets offshore. In the present case, Steven Greenfield was implicated in tax evasion as a result of a document leak from a Liechtenstein financial institution. Years later, the Government issued a summons for a broad swath of Greenfield’s records, including documents relating to all of Greenfield’s financial accounts and documents pertaining to the ownership and management of offshore entities controlled by Greenfield. Greenfield opposed production and moved to quash the summons based on his Fifth Amendment right against self-incrimination. But the District Court for the Southern District of New York (Hellerstein, J.) granted enforcement as to subset of the records demanded by the summons. It concluded that the existence, control and authenticity of that subset of documents were a foregone conclusion and, as a result, under Fisher v. United States, 425 U.S. 391 (1976), any Fifth Amendment challenge must fail. We disagree with the District Court for two reasons. First, we find that, for all but a small subset of the documents covered by the District Court’s order, the Government has not demonstrated that it is a foregone conclusion that the documents existed, were in Greenfield’s control, and were authentic even in 2001. Second, we find that the Government has failed to present any evidence that it was a foregone conclusion that any of the documents subject to the summons remained in Greenfield’s control through 2013, when the summons was issued. Accordingly, because the Government has not made the showing that is necessary to render Greenfield’s production of the documents non-testimonial and, hence, exempt from Fifth Amendment challenge, we vacate the District Court’s order and remand. I urge readers with particular interest in the issue to study the opinion carefully. I offer the following which steps through the key analysis as I understand it.